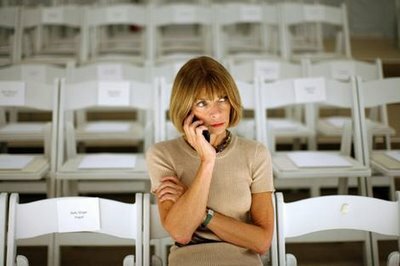 Anna Wintour for the most part, is a pretty mysterious woman. 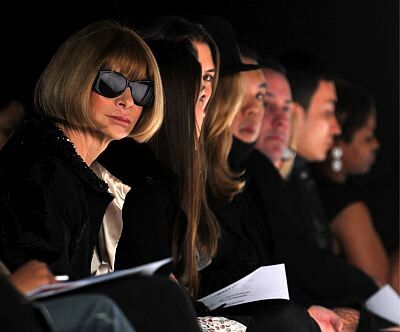 I've always heard about her but hadent really gathered any real knowledge about her place in Fashion. I watched a video(linked) on her from May's 60 minutes w/ Morley Safer. I love her input on why she wears the dark sunglasses: She wears the sunglasses as “armor” so people can’t tell if she’s bored or happy. Get into that!